Mounts on the wall beside your garage door, freeing up ceiling space. This model comes fully equipped with Security+ 2.0®, MyQ® Technology and the Timer-to-Close system. 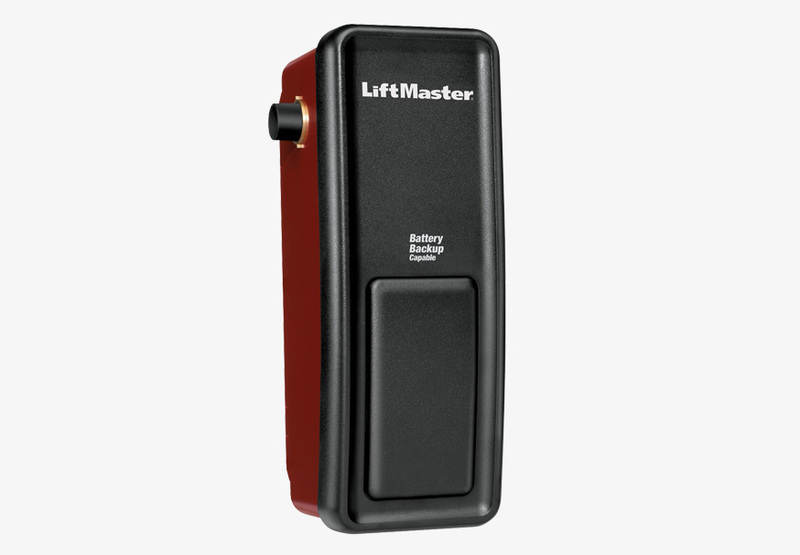 LiftMaster® Residential Jackshaft Openers mount on the wall beside the garage door, freeing up ceiling space, and are available with an optional battery backup system that continues working even when the power goes out. Garages are used for so much more than parking your car, and the jackshaft opener is a great alternative to the standard garage door opener.